How HUNGRY are they for the opportunity? Most business owners are looking for experience – they want to know if someone has done something before, how successful they were at it, etc. This is certainly an important consideration in hiring people imo, BUT it might not be quite as important as you think. When it comes to adding someone to my team I am a huge fan of looking at how “hungry” someone is for the opportunity. How excited are they about the opportunity? What do they love about my business and what we do? Can I feel their energy and enthusiasm? Are they chomping at the bit to work with me and my team? I would much rather have someone who is oozing enthusiasm on my team than someone who doesn’t have much enthusiasm but knows how to do stuff. It’s their enthusiasm that will drive the work – if someone has lots of experience but they aren’t excited about the work they are doing it will show (and can actually cause big problems.) Someone with enthusiasm is willing to learn on the fly, figure things out as needed in order to get the job done. They are willing to go the extra mile and want to have fun in the process. They are also the ones who tend to stick around the longest, because you’ve given them an opportunity to learn and there is a loyalty that comes alongside that. Now the thing is, quite often the people who are “hungriest” for the opportunity aren’t always the ones with the most experience (that’s actually true in many cases.) So what to do? How do you know if you should hire the person with more experience vs. the person who is “hungrier” and more excited? If you hire someone with less experience that might require some more attention and patience from your end as the business owner – there may be additional training involved, and it could take a bit longer for some things to get done in the learning stage. Depending on what you are hiring for and how quickly you need them to be able to engage this could be a consideration. What kind of training (or certification) do they have? Have they invested their own time, money and energy in learning new skills? This can be a good indication of how serious they are about the work they want to do and what they are willing to invest to bring it to life. What kind of support system do they have for themselves? Are they part of a community of peers or do they work with a mentor that they can turn to when they do have questions? As I always say, as virtual support professionals we don’t need to know everything… we just need to know where we can find the answers. 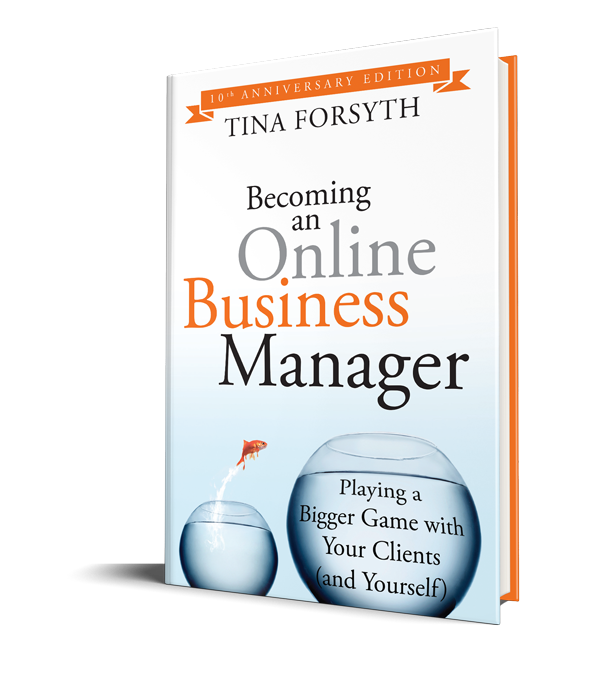 As Online Business Managers, it is our role to manage the team we are working with. (Let me clarify that the Client is part of the team.) There is a saying: a chain is only as strong as its weakest link. I believe this is true for teams as well. If any one member of the team is not functioning at the same level as everyone else, then you have a weakness in the team dynamic and essentially in the operations of the business. It is important as OBMs that we understand our roles as leaders in the business… that we take ownership of the development of the team we are working with and ensure that we are creating the environment in which everyone on the team can produce at their strongest ability. The leader (you) should be the inspirer of the team… the person who creates the wind that everyone is soaring in on to perform their tasks in the business. We must understand the difference between motivating and delegating. Motivating someone is all about inspiring them to show up and be the person they want to be… not just to complete a task, but also to feel good and empowered around the way they serve every element of their business and their role in the business you are managing. Motivating is purposeful and thoughtful. You have to take the time to know your team’s goals and desires to effectively motivate them. For example, by knowing what is on Tina’s YES list (the priority tasks she wants to be doing on a daily basis in the business), then I know how to motivate her to keep only those tasks on her plate and get the rest of the tasks off to the rest of the team. On team calls, that may look like keeping the conversation going toward what is coming up next or the vision she has for the business. When she gets bogged down in the details (which she is brilliant at but doesn’t really want to be in them), then I try to motivate her toward the big-picture stuff and reassure her I have the daily details handled. With a VA, it’s always trying to encourage them… beyond the efforts of the business, but into their lives, their personal development or business development. I think of it as sowing and watering seeds of encouragement and power into their lives to ensure they desire to do their best work with us and for themselves. I hope you can see the difference in this type of interaction over simply delegating a task… “here do this, here do that… thanks.” No one wants to work on a team where they do not feel cared for. There is a saying in our house (around raising our teenage kids): rules without relationship = rebellion. The same is true here… if you are not purposeful in building the relationship, then the request, processes, “rules” of your client’s business will be less important to the team member, specifically in comparison to the client that is taking the time to motivate and empower them by building a relationship with them. I am so guilty of this… just sending out partial requests. Unfortunately, what this does is create a confusion and frustration in our team’s ability to fully perform the task at hand… therefore robbing them of the power they hold to do great work for us. We must be clear and decisive with the expectations we need from our team. That goes both ways too… let the client know what you need to be fully engaged in what ya’ll are creating together, as well as ensure you are fully communicating what the team needs to accomplish to be successful. First thing you want to do is ensure there is a role description for the position they hold in the business. This is the easiest way to create a measurable for both you and them to ensure the partnership is a success. Second, make sure you have a fully functional SOP that will lay out the expectation of each task so your team is not playing the guessing game with their obligations to the business, as this is frustrating and time consuming. Thirdly, ensure you are scheduling out tasks in a timeframe that allows them to know what is going on. Nothing more morale-breaking than planning to go to lunch with a friend and have a task hit your inbox or virtual office that has to be done within a few hours. Encourage, encourage, encourage… it only takes a moment to say “I appreciate your commitment” or “thanks for always having my back, you make my work so much easier.” A little bit of encouragement will go a long way when creating an environment of success. Give people the opportunity to show you what they can do. By empowering them to make decisions based on their level of experience and expertise, most of the time you will be pleasantly surprised by the creativity and ingenuity of your team. This is an Attitude of Ownership. Now with any opportunity to be creative or take ownership of something, until they have proven themselves, they will need you to mentor them more closely through the process. But be there to watch for obstacles for them while allowing them to soar. Give people projects within their strengths that will help them build confidence in their ability to take ownership and have the pride of accomplishment. For the VA who has an eye for detail, you could ask her to skim through the website to ensure all the links and grammar are as they should be. Or someone who loves formatting, let them take some of the client’s articles and create an eBook. These are projects they can work on in their own timeline that take little instruction, but will give them a great sense of ownership. If they need a great deal of instruction around it, it might not be the best project for that person to own. Consider that, but then you can see their potential and motivate them to that next level if needed. Honestly, gratitude, when offered sincerely, is one of the greatest rewards we can get in this industry… to the client as well as to the support team. A truly heartfelt “thank you for what you do” is rare… a quick “thanks” is everywhere.. but really who receives that? If you take the time to tell someone thank you for how they make the business a better place, that motivates people to continue to do great work. When you say thank you, be descriptive in what you see is the greatest asset the team member brings to the table. Tell them what you are most appreciative of in the support they offer, and if possible send them a token of appreciation. 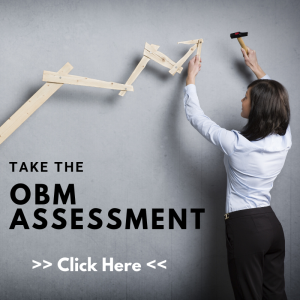 Closing thoughts… be the leader OBM! Develop and motivate your team… step into the shoes of empowerment to ensure your team knows the value of their efforts and the appreciation of their commitment. When you do, everything in the business will begin to soar on the wind of your leadership. The truth is, even the best laid plans can be found trailing a bit “behind.” Whether because of emerging priorities or procrastination, there are times when we just get behind on the tasks before us. Seems an oxymoron to say “behind on that which is before us”… the truth is, it is. Survival Step #1: Reprioritize and put the tasks before you. The first thing you need to do is look at the list of tasks you have fallen behind on and and get them in front of you. I know this seems a bit simple, but the truth is, as long as the stigma of “defeat” or “failure” in not meeting a deadline is hovering over the tasks, it will take you twice as long to complete it. Now the task has become an emotional energy and usually one that is negative. So instead of just accomplishing the task, you have to feel the burden of having let it fall behind. If you need to email a client, change a milestone, update a calendar… whatever your process is, you need to get that task in front of you (because honestly, it IS in front of you… we simply can’t go backward). Be realistic in your priority and understand the importance of meeting the next deadline for this task. And if it needs to be done right now… then DO IT RIGHT NOW! But first change the deadline for it to RIGHT NOW (not last week). When you remove the negative energy around a task that has fallen behind, you will have a different mind frame around completing the task. Survival Step #2: Assess: why didn’t you get it completed to begin with? This step is important because if you don’t know why you didn’t complete it to begin with, the reality is you will likely just miss the deadline again. I currently have a marketing project in my task list that I have changed the timeline on 3 times… why? Simply put, I don’t want to be the implementer of this process. I don’t have time and I know someone else could do it much better than I. Currently, I am working with a new team member to get them trained up to do the tasks needed to complete this project. However, the development of the new team member is moving at a slower pace than I would prefer and I refuse to give up on this initiative, so… it stays as a “behind” project. Knowing this allows me to understand why and how I am going to accomplish this milestone and move it into a successful, complete project. So I ask you… why is that task behind? Why are you not completing it? What do you need to complete it? Many times when we let a task or project fall behind it’s because there is a piece missing for us. A missing element in the strategy, implementation or resource will cause us to lag behind. But if we do not evaluate what that is and begin to fill that missing piece, we will just continue to lag behind on the project and not complete it to the level of excellence we have started out with. So find out what you need to find out, implement what needs to be implemented, and get the resource you need BEFORE your next deadline. Survival Step #3: Get Over It. Many times, we stay behind because we can’t get out of our own heads. Let’s be honest, as Online Business Managers, our core purpose is to help people. We take it very seriously, and take our ability to get things done very seriously. I deem myself as the “Master Implementer” meaning… I get things done! So when something doesn’t get done on time or I start running behind… the first thing that happens is that I get caught up in my head… building a big, tiresome bridge that needs to be crossed to get the task accomplished. Assuming I am not the only one who does this, I want to say: Get Over It! Take the complication out of the “doing” of the task and simply DO IT. Push through the discomfort, the negative energy, the feelings, and simply do the task. Do not be ruled by what seemed a failure of yesterday.. but determine to make it a success today! You can’t go backward, you can’t change with is “behind” you.. push it forward and then own it, rule it, master it and COMPLETE it! When you change your mind and determine to do that thing that is haunting you from yesterday, it will be the freedom you need today.